Excuse the candid camera phone moment! No no, I didn't wear smokey eye makeup to my day job today...as if :P But I gathered, since I have been on a major makeup hiatus for the last year (and a bit more), I'm going to re-organise/cull/re-juvenate my makeup kit, in the hopes that weekly makeup posts will amp up the practice (and profile) again! Sorry about the flyaway hairs on my face in these pics...the pics were taken in a rush on my camera phone! I promise the quality will get better in future posts! 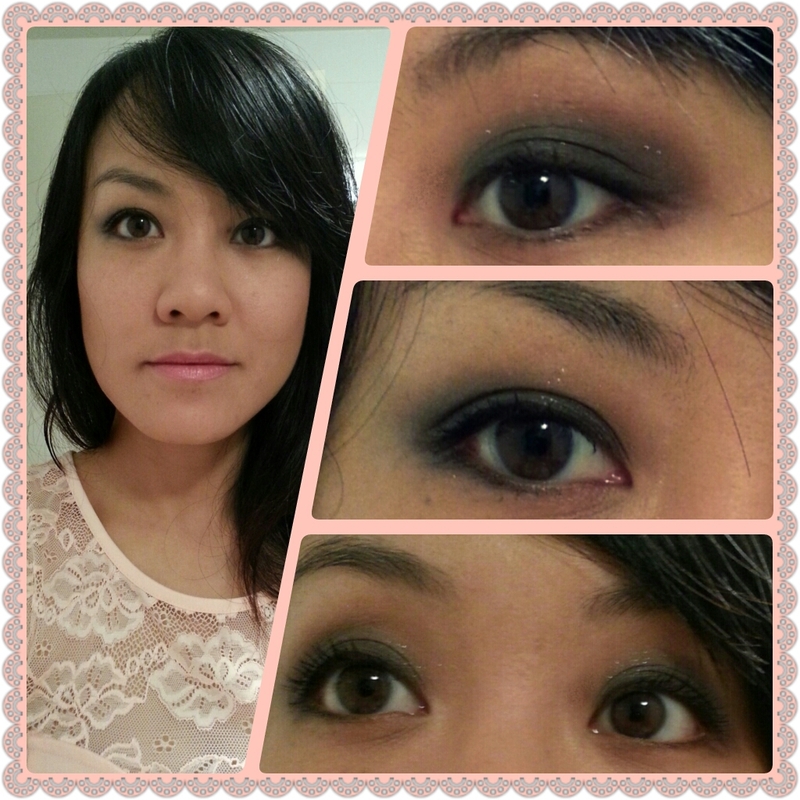 Rimmel "Exaggerate" waterproof eyeliner in #261 "noir"
MAC mascara in Extended Play Lash in "Endlessly Black"